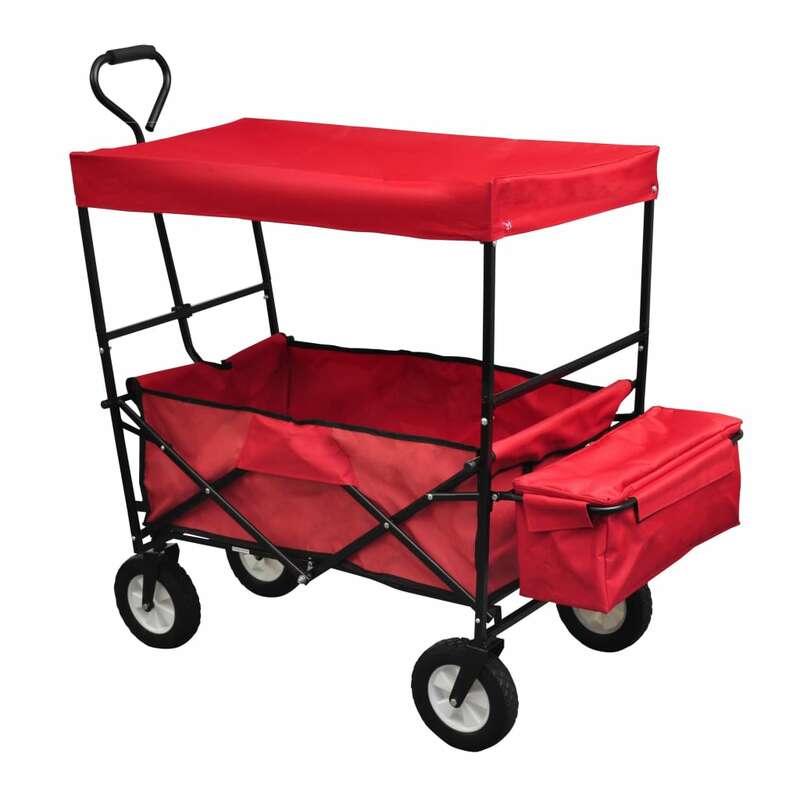 This garden trolley cart can handle loads of up to 165 lbs. 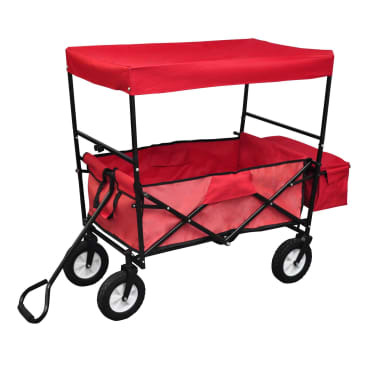 It comes with a canopy and an additional covered bag on the behind to keep your items from being exposed to bad weather conditions. 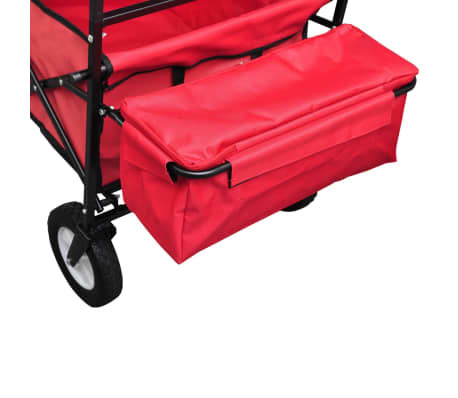 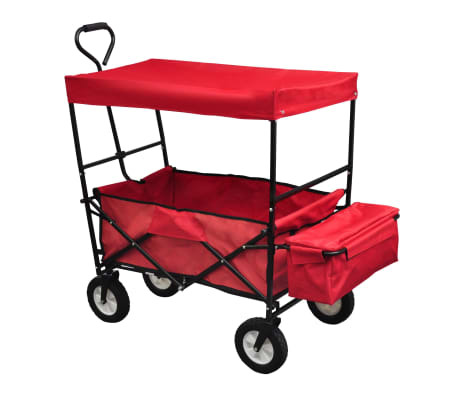 The trolley is multi-functional, and can be used as a garden cart, a hand truck, a festival transporter, and so much more. 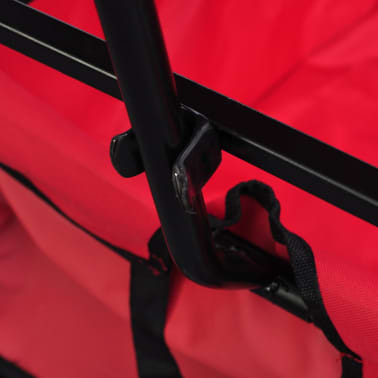 The non-slippery handle is padded for ease of use. 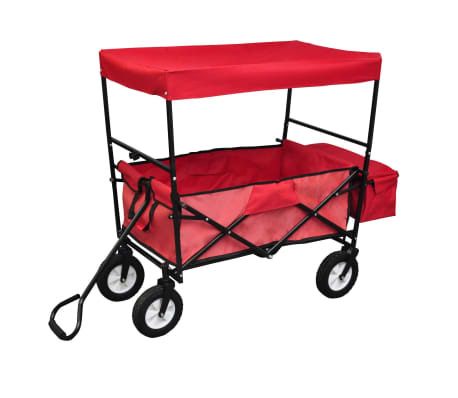 This handy garden cart frees you from heavy lifting. 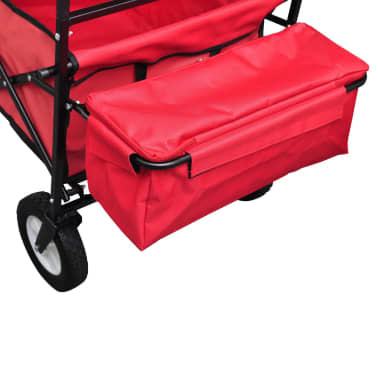 It can easily transport your crops, plants, fertilizer, building materials, tools and many other goods, ideal for any gardening or landscaping projects. 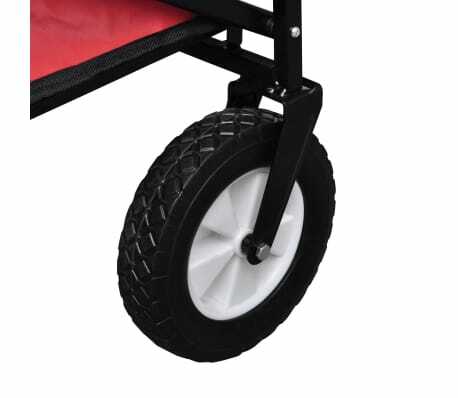 It has large heavy duty pneumatic tires make it easy to roll and pull through rough terrain and uneven surfaces. 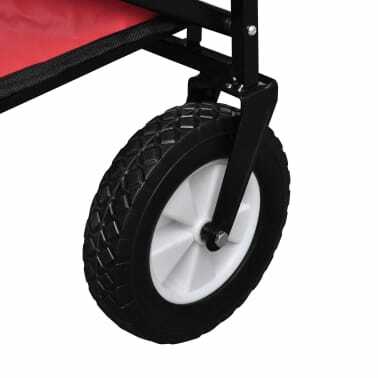 In addition, a removable inner bag is also included.